Названия символа и в профессии не совпадает будьте внимательны. If anyone can test this I'd be interested to know if the 10% is additive or multiplicative. Thanks. Wow, that uber blows... only a 1% increase? Might as well take the 2% sprititual attunement and be done with it. Can anyone else confirm that it's multiplicative as opposed to a completely OP additive? I wish this was some sort of damage increase instead of a tanking utility thing. Most tanks will use Seal of Corruption or Righteousness now. I wonder why Blizzard decided to make this glyph useless for soloing. I hope it gets changed to a damage increase. This is a glyph for Retadins, not Tankadins. They'll want the added mana when they get healed and are using SoB. You'd never use SoB in a tanking situation over other seals anyways. That being said, this glyph doesn't yield enough mana. Maybe it was worded/coded badly? The spiritual attunement glyph yields twice as much, and doesn't have the stipuation of having a dispellable buff on yourself to activate. Glyph(S)? You can only use ONE of a given type. So no, you can't stack these. This glyph is horrible until changed. I think its spelled wrong. Cause a 1% mana gain from SA only when SoB/M is active, for a major glyph, would be pure nonsense. This is MADNESS! Why make a glyph that is addictive and increases 2%,when this is multiplicative and increases by 1% i don't see the reason to even implement this,it really should be addictive. I just discovered this on my alliance toon O_o lol? Its 10% of 10%, so 1% more. Tested tonight. Useless. Glyph of Seal of Blood: Grants 30% bonus mana from Spiritual Attunement. So they made this kinda worthless still for Ret, depending on how far down "deep prot" is. Above calculations are a bit off imo as the glyph doesn't grant mana back from the amount of damage dealed. But rather from the recoil damage done to you. So if your judgement crits for 10000. And since judgementing blood you take 33% dmg to yourself from the damage inflicted. The mana gained from judgement with the glyph is 10000*0.33*0.11 =~365 mana back. Just tested it on latest PTR. The mana gained from judgement with the glyph is 10000*0.33*0.11 =~365 mana back. Just tested it on latest PTR. Exactly the same mana that you would have gained by Spiritual Attunement healing, with the old Glyph of SoB equipped. But there is a very important difference, this new glyph works also while solo. With the nerf to judgement damage, this glyphs seems sad at best. If my crits could reach 7k when soloing, they don't even hit to 5k anymore. A crit alone is 4.7k, so I get 155 additional mana from a good judgement. Non-crit will give me an average of 70 mana. Seriously, in what way is this of any use compared to Spiritual Attunement? I'm not saying I will run into mana problems with or without the glyph, but this glyph still is not suitable at all if you have mana issues. It is still better than the glyph for Crusader Strike, which could be seen as 62 mana back per strike, which might actually be better. In any case, both saves worthless amounts of mana and should not be considered. Glyph of Consecration is still the only mana-related Glyph Ret should ever want, saving 21 mana per second (or something like that) and at the same time, makes your rotation smoother. I think its pretty ridiculous that blizzard keeps slapping rets in the face. This glyph is the only way Seal of Blood/the Martyr is useful anymore, since it doesn't restore mana without it, and doesn't deal so much more damage that it's worth the health lost. I can't think of any other spell in the game that's completely useless without its glyph. As of patch 3.2 seal of blood and seal of martyr abilities will be removed as said on the patch notes. The glyph will turn into glyph of holy wrath wrath which decreases cooldown time of the holy wrath skill by 15 seconds. 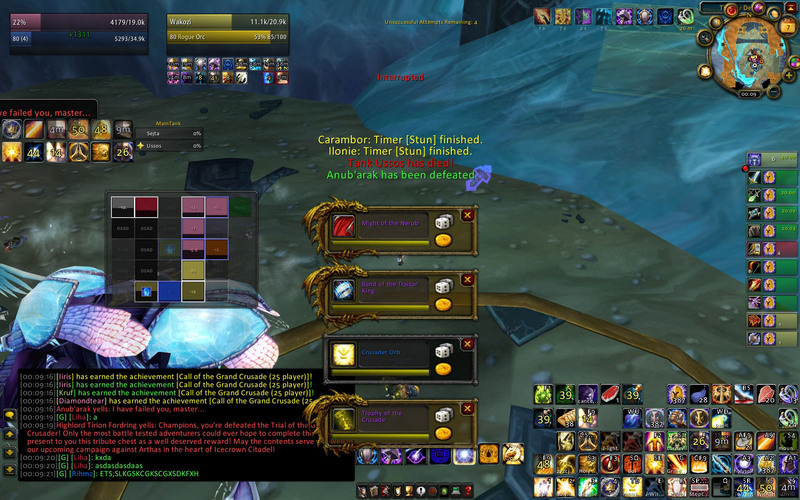 Sorry to dissapoint... it was my favorite seal for my ret. Up until patch 3.2, this glyph was the Glyph of Seal of Blood, which caused the self damage from Seal of Blood and Seal of the Martyr to restore mana for a % of the damage done. This was a pretty terrible glyph, since Seal of Blood and Seal of the Martyr only did a small percentage of their damage to the caster in the first place. 3.2 changed this Glyph to Обугленный символ, which as of this writing reduced the cooldown on by 15 seconds. We just deployed a hotfix to modify Holy Wrath so this spell has the same diminishing return mechanics that other player stun spells and abilities currently have. This will prevent Undead creatures that we wish to be susceptible to stun from being permanently stunned if you include enough Paladins in your raid who then rotate their Holy Wrath casts. This will affect the difficulty of Anub'arak, but we didn't want the "right way" to defeat this fight to involve bringing five Paladins who glyphed their Holy Wrath spell. It is said that the world 2nd kill of Heroic Anub'arak(25) of Stars (TW-Crystalspine Stinger) uses a strategy that involves 5 paladins rotating their Holy Wrath. We can see that from their recount meter, as 3 holy paladins all did 700~ish DPS, most of them should be some kind of AoE. Just a small correction, the old glyph used to give you mana for a % of the damage done by Seal of Blood and it's judgement, not healing you. This was because Blizzard changed Spiritual Attunement to a Protection talent instead of a passive baseline ability. I'd recommend taking this glyph in 3.3, if you intend to do the new heroics a lot! Almost everything in there is undead and there's a lot of packs with one melee in the middle and casters around it in a circle. This glyph will help you interrupt those casters and keep them off your healer and ranged. is this applied before or after the holy paladin's talent purifying power? Its applied before. So the glyph brings it down to 15 secs and 2/2 purifying power reduces it down to 10.1 sec. Though the stun effect will be effected by diminishing return no doubt. As of 4.0.1, this glyph adds the stun effect to Dragonkin and Elementals. Holy Wrath has been changed to affect ALL creature types, but only stun specific ones. This glyph worked great while leveling in Beta. More than once I made a bad pull while soloing and this glyph allowed me to get a much needed heal off without using any other cooldowns. I'll probably switch it while raiding but for questing solo and leveling it is awesome. Excellent tanking glyph, I'd highly recommend it for all raiding content. Amazing glyph for leveling 80-85. You'll be fighting tons of elementals and dragonkin on your way to level cap, and this makes Holy Wrath function as an extra interrupt, damage reduction, and a quick time buyer to allow you to pull off a quick heal or to toss a Repentance on a bonus dragon you've pulled. I've found its utility worth keeping equipped even as retribution for 5-mans as well, since if you use the random dungeon finder you might wind up with a group that can't CC all the dragons or elementals it would like to, and your 3 second stun will help lessen the damage the tank takes. That said, I agree with Eldredd that for raiding, ret pallies will likely swap this out for another mana reduction glyph (probably Asecetic Crusader, Rebuke, and Hammer of Wrath). This glyph will cause the Twilight Spitecallers on Sinestra to gain Indomitable and kill your raid. Hope this helps. Can stun Sons of Flame on the Ragnaros encounter found in Firelands. In Mists of Pandaria this glyph is changing again. OLD: Glyph of Holy Wrath - Your Holy Wrath now also stuns Elementals and Dragonkin. NEW: Glyph of Denounce - Your Holy Shocks have a 50% chance to reduce the cast time of your next Denounce by 1.0 sec. "Glyph of Holy Wrath" is still available but has been moved to a different glyph. The old Hammer of Justice glyph has been changed to Glyph of Holy Wrath. Not sure why Blizz felt they needed to play a shell game with glyphs and didn't just make Hammer of Justice into Denounce leaving Holy Wrath alone. To make it even more confusing, some comments on this page refer to the previous incarnation of Holy Wrath (Reduces the cooldown of your Holy Wrath spell by 15 sec.) or the old Glyph of Seal of Blood (When your Seal of Blood, Seal of the Martyr, Judgement of Blood, or Judgement of the Martyr deals damage to you, you gain 11% of the damage done as mana.) which was changed in Patch 3.2 to be Glyph of Holy Wrath.